John Riley reviews the Zeiss Planar T* FE 50mm f/1.4 ZA full-frame prime lens for Sony E-Mount cameras. 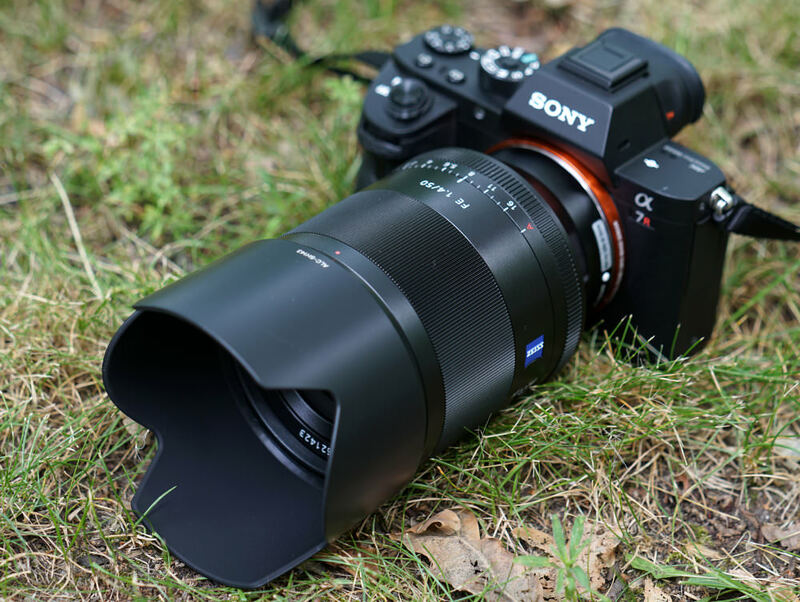 Sony continues to introduce an ever increasing selection of high quality lenses and the new Sony Zeiss Planar T* FE 50mm f/1.4 ZA adds to the high end of the full frame FE mount arsenal. With a price tag that matches its impressive lineage it will take some extraordinary results to justify that premium price, so it is with high expectations that we look at this new lens to see how it matches up. The lens was provided for review with the Sony Alpha A7R II body and the 782g lens makes it a heavy and fairly bulky package that offers little if any physical advantage of bulk over a small traditional DSLR with, usually, a far more compact 50mm f/1.4 lens. However, the lens balances very well with the A7R II, especially when used with the EVF as opposed to the rear screen. A solid metal bayonet mount secures the lens firmly to the body, albeit with a minute amount of rotational play when clicked into place. Although this won't have any effect on the actual use or performance, it is interesting that so far this has not been seen with any of the third party lenses tested on this camera range. Starting at the front of the lens, the bayonet fitting for the provided petal lens hood encloses a 72mm filter thread. The hood clicks into place precisely, but the actual plastic used is somewhat thinner than the other Sony/Zeiss hoods that we have seen. The actual lens itself is manufactured to a very high and precise standard, all controls operating smoothly with no play whatsoever. The 11 diaphragm blades can be clearly seen, providing an almost perfectly circular aperture. With this lens the aperture is always at the setting dialled in, both for viewing and for the actual exposure. This does not seem to have any detrimental effect on focusing as the action is fast and very accurate. Focusing is also extremely quiet, thanks to the SSM (Super Sonic Wave) motor. The focus-by-wire manual focusing ring is generously wide and very smooth in action. There are two switches, one to select AF/MF and the second to deselect the click stops on the aperture ring, a feature especially useful for video shooting. There is a choice of method for selecting the aperture. The beautifully engineered aperture ring is click stopped in one-third of a stop increments or, if set to the A mark, the camera can be used to set the value instead. The lens specification is 12 elements in 9 groups, a design rather more complex than the original Planar that it is based upon. It includes one Advanced Aspherical, one Aspherical and one ED (extra low dispersion) element. IF (Internal Focusing) means that the lens does not rotate nor does the length change as we focus down to the 0.45m (1.48') closest distance. This gives a maximum magnification of 0.15x. This is exactly what would be expected from a traditional 50mm lens. The weight of the lens is quoted as 778g, and actually measures at 782g, less caps or hood. Lens coating is the well known Zeiss T* and the lens is dust and moisture resistant, a very welcome feature. In terms of handling, there are no negatives or glitches to mar the smooth performance from the lens. The switches are well placed and firm enough in action to avoid accidental operation. The aperture ring is an amazing example of engineering, so very precise and with perfectly firm detents. The irony is that ergonomically I prefer to control the aperture from the camera, not such a tactile experience but for me more efficient. Others may disagree, and the choice is there. There is no doubt that the lens is built to a very high standard, which bodes well for the performance. In terms of sharpness, it is difficult to see how any improvement could be reasonably made. Central sharpness borders on outstanding at f/1.4 and f/11 and is definitely outstanding at all the intermediate apertures, from f/2 to f/8. It remains excellent at f/16. In practice, this means all apertures are absolutely usable and the only effect of aperture is to adjust the depth of field. The edges are slightly soft at f/1.4, but crisp up the being excellent at f/2 and f/2.8, outstanding at f/4 and excellent from f/5.6 through to f/16. 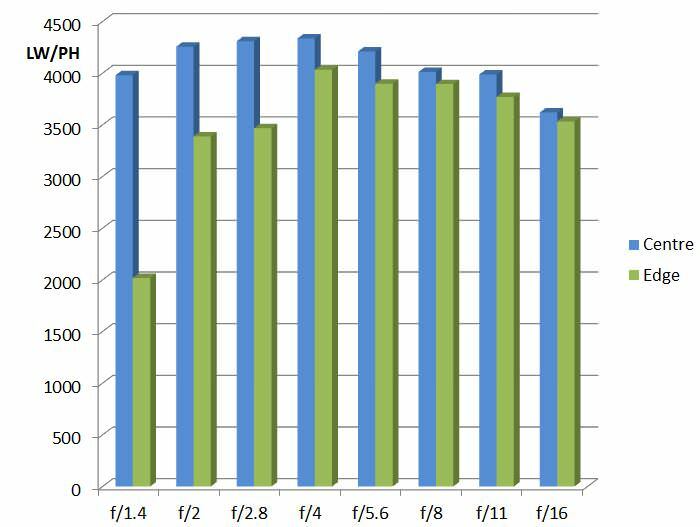 Overall, f/4 is the sharpest and most even aperture across the frame, but the margin of difference is small and the standard very high indeed. CA (Chromatic Aberration) is very much under control, especially at the centre. 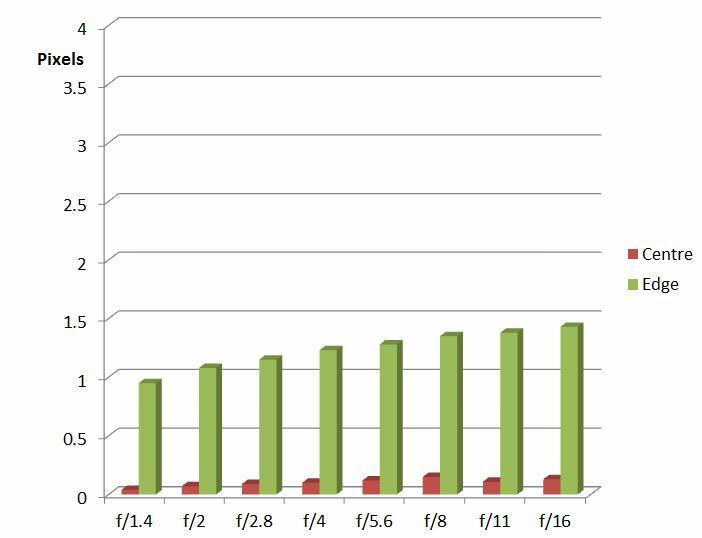 In fact, centrally, figures are as close to zero as could possibly be expected from any lens. The edges do show some CA, but this only becomes apparent under extreme conditions. 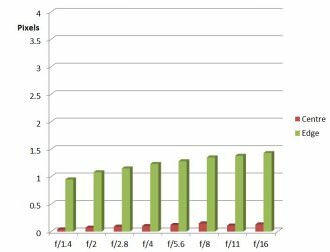 If it should be a problem, then correction in software can be applied. Flare does have some effect and when shooting against the light there can be a drop in contrast. This is only observed where very bright light sources, such as the sun, are just outside the edge of the frame. In all normal circumstances flare is not intrusive at all. There is a small amount of barrel distortion, measuring at -0.0271%, but this is really insignificant and an excellent result. Further correction could be applied in software, but is unlikely to be needed. The bokeh of the lens is very smooth, and in the various bokeh shots we can see the almost perfectly circular aperture. The “character” of the lens is crisp and clean and it will suit a very wide variety of subjects. This is exactly what a “standard lens” should be. The Sony Planar FE 50mm f/1.4 lens has a price tag of £1499, certainly not an insubstantial amount. There are though a large number of 50mm lenses on the market that we can use to see how this price relates to the overall situation. Sacrificing a small amount of speed, FE format users could look at the Zeiss FE 55mm f/1.8 ZA Sonnar (£749), the Sony FE 50mm f/1.8 (£279), or the Samyang AF 50mm f/1.4 FE (£449). Manual focus alternatives include the Samyang 50mm f/1.4 AS UMC (£309) and the Samyang 50mm T1.5 AS UMC Video lens (£439). Just to put things in perspective, DSLR users would be looking at the Canon EF 50mm f/1.4 USM (£279), the Nikon 50mm f/1.4 G AF-S (£385) the SMC Pentax-FA 50mm f/1.4 (£339), and Sigma 50mm f/1.4 DG HSM Art (£570). All of these lenses give very good or excellent results, so whether or not that £1499 is worth it to gain the impeccable performance of the new Sony lens is an individual choice. In the highest quality studio, fashion and advertising work then no doubt the choice will be clear. 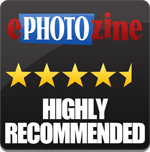 For more options have a look at the Top 27 Best Portrait Lenses. The only major drawback of such a fine lens has to be the price; the weight and size can perhaps be forgiven. It does offer a very high standard of performance, including very appealing bokeh, and a superb level of sharpness throughout. In terms of quality of results it speaks for itself, and if the price can be afforded then the lens should offer many years of excellent service. Another superb lens from the Sony/Zeiss stable. 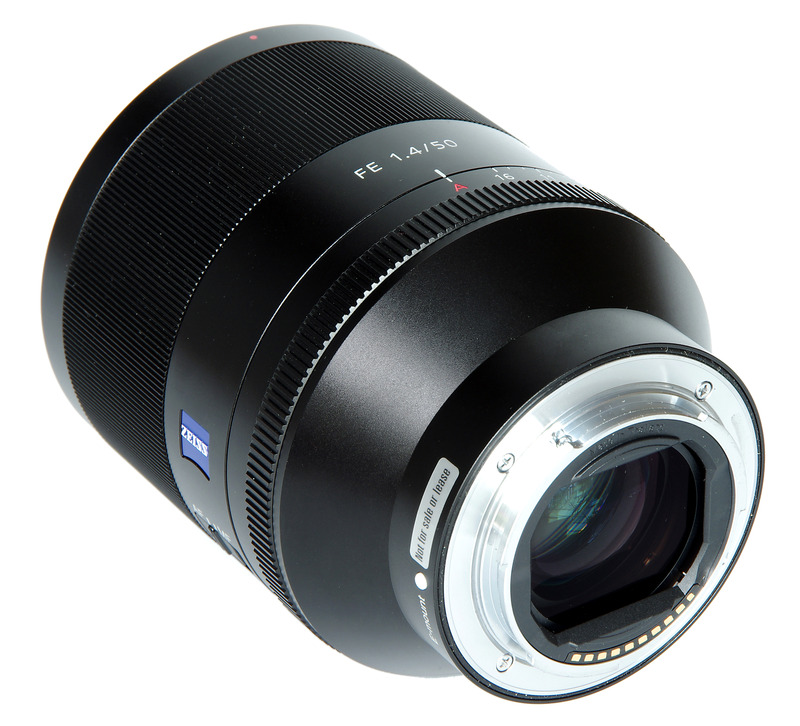 The Zeiss Planar T* FE 50mm f/1.4 ZA lens offers superb performance, at a price. 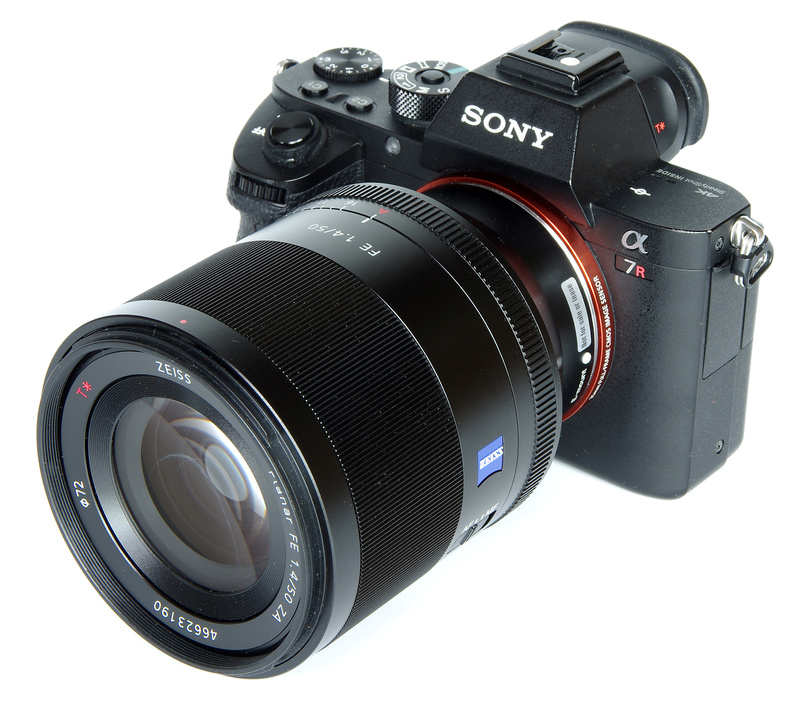 I deplore that Your other pages relating to the Zeiss Sonnar 55mm f/1.8 ZA T* do not include the MTF graph and CA chart, so for this review to gain more substance. Also, since You do sample photos, it would have been EASY for You to do them along with the Sonnar 55mm for us to compare. Really easy. Really obvious. Really sad. 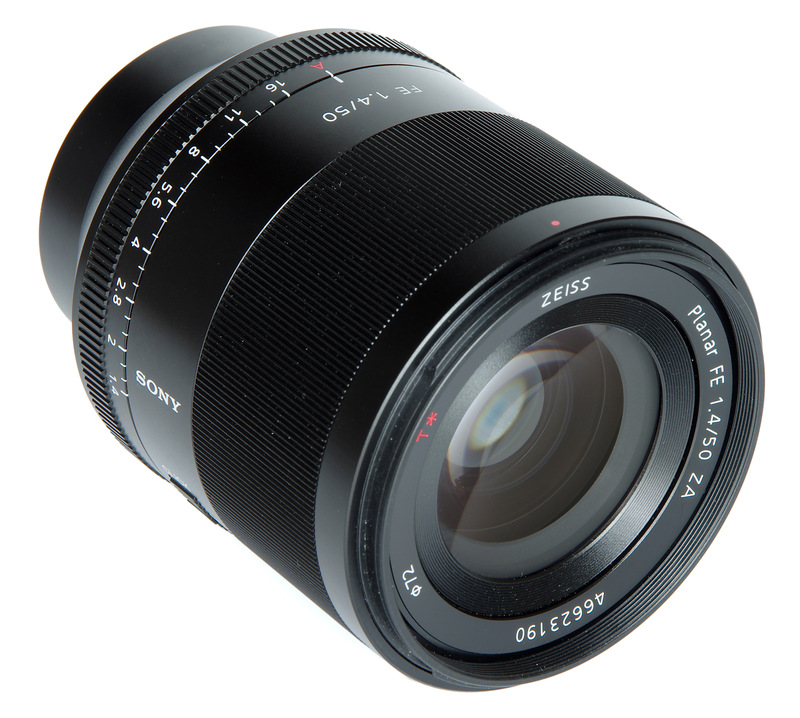 I deplore that Your other pages relating to the Zeiss Sonnar 55mm f/1.8 ZA T* do not include the MTF graph and CA chart, so for this review to gain more substance. Also, since You do sample photos, it would have been EASY for You to do them along with the Sonnar 55mm for us to compare. Really easy. Really obvious. Really sad. Unfortunately we did not have the Zeiss Sonnar 55mm f/1.8 lens at the same time as the Zeiss 50mm f/1.4.